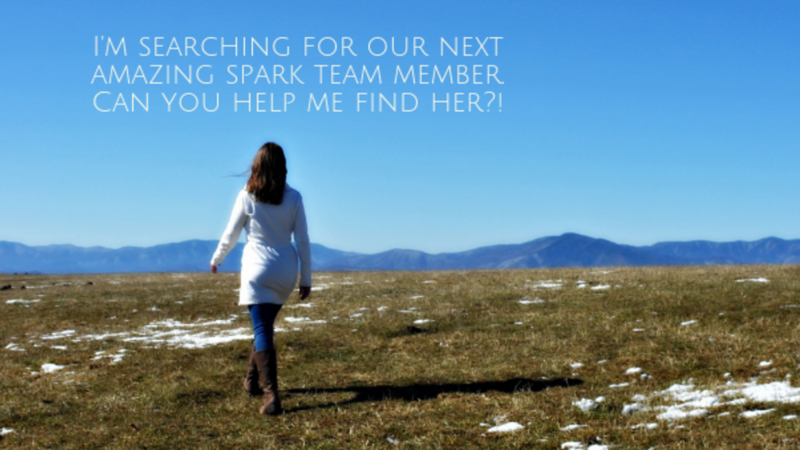 Although many tasks will be done virtually, this Assistant offers in-person support for live events, retreats, and other Asheville-centric projects. Please email Cover Letter, Resume and 3 References to [email protected]. Bonus for emailing intro video (3-5min) sharing about your talents, experience and skills in alignment with this job description. Also share how the mission of SPARK & The Shift from Fear to Love resonates with you. Start date is January 3, 2019. Coordinate Live Events such as The Shift from Fear to Love on March 31st 2019 at Diana Wortham. Coordinate correspondence with collaborators, supporting them to make their contributions to SPARK programs and live events. Manage the efforts of our volunteer group leading up to and during live events. Coordinate registration for coaching programs and live events, following through in a detail-oriented way to create an easeful welcoming entry. Provide exceptional participant support and customer service via email, phone, and FB group. Use email delivery platform for formatting and sending Spark eZines and other emails. Assist with creation of inspiring marketing videos and artful coaching videos. Edit videos using iMovie, QuickTime, Animoto, or Screenflow. Upload and organize videos using Vimeo, YouTube, and Dropbox. Create branded graphic design elements such as inspiring social media infographics & artfully formatted guidebooks. Use Zoom.us videoconferencing platform to set up group coaching calls. Be the go-to tech support for Jessica and program participants. Manage daily social media marketing, scheduling posts and ads. Manage SPARK’s email inbox with personal warmth and attention to grammar and detail. Continually update and organize operations manual for SPARK. Resonates with mission of SPARK and Shift from Fear to Love. Excited about growing with the SPARK Team—1-year minimum commitment. Detail-oriented, organized, and thorough. You love creating systems. Efficient and timely. Fast turnaround time. Trustworthy and reliable. Respectful of confidentiality. Able to work in improvisational, intuitive, evolving environment. Optimistic, approaching challenges with calm and ease. You love to solve problems. Creative with an eye for visual aesthetics. Savvy MAC User with Microsoft Office and all professional equipment needed to perform job at high level. Avid Facebook user—events, groups, biz pages, boosted posts, ads. Avid Instagram user—knows how to grow the community. Ease with collaboration tools such as Google Drive, Google Docs, Dropbox. Love for technology! Might even call yourself a tech wizard. You’re an eager ‘quick study’ of new tech tools and software. Expertise in video editing and uploading via Animoto, iMovie, Vimeo, and Youtube. Expertise in audio editing via Garageband. Expertise in social media marketing, FB, Pinterest, Linked In, Instagram, Twitter, etc. Expertise in email marketing and formatting e-newsletters. Expertise with blog editing and webpage design. Expertise in graphic design with ease of using Canva.com and Picmonkey.com. Expertise in branding & marketing that is infused with authenticity and creativity. Expertise with hosting webinars, telesummits, or teleconferences. Ideal Client will have or develop expertise in Kajabi all-in-one online business platform in order to manage SPARK’s Kajabi site, ensuring smooth program delivery. Approximately $15-20/hr., depending on experience, expertise & efficiency. Approximately 10-15 hrs./week to start.